The fourth round of the Finnish Winter Jumps Series was held at the Äänekoski indoor track located near Jyväskylä. 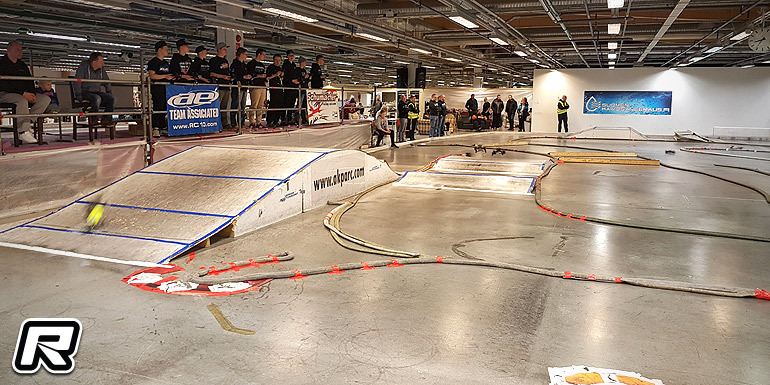 The permanent indoor track features a full-size off-road track and an even bigger on-road track with the slippery surface making for a narrow driving line. 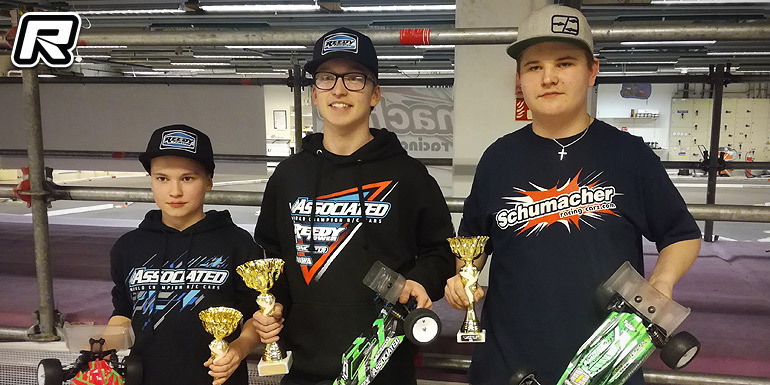 Saturday was 2WD day and straight from the start it was evident that the fight for the win was on between three drivers: Joona Haatanen, Pekko Iivonen and local rising star Jamiel Gabrielsson. 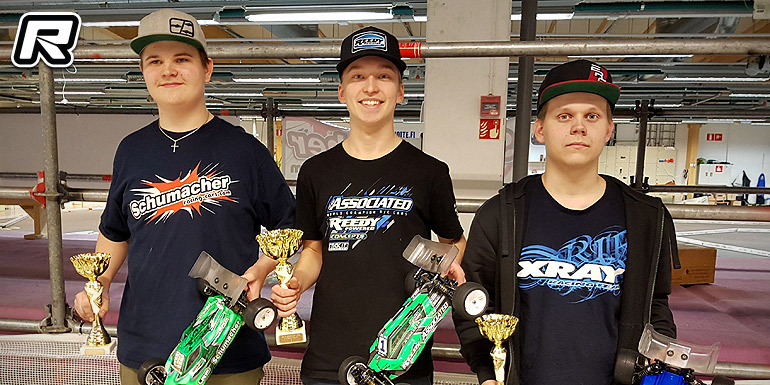 With Joona having problems in the first qualifying it was Jamiel who started with a TQ with Pekko and Lauri Ruotsalainen in 2nd and 3rd respectively. 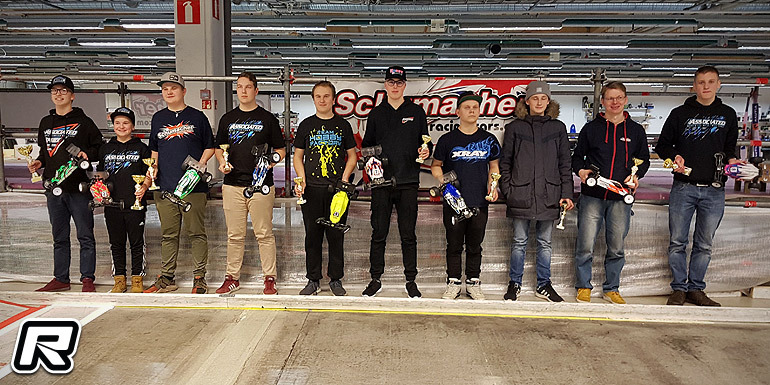 From the second round Joona took charge of the qualifying, winning the next three rounds to claim the overall TQ in front of Jamiel in 2nd, Pekko in 3rd, Konsta Saarinen in 4th, Lauri in 5th and Mikko Luopajärvi in 6th. In the finals Joona once again showed his incredible speed and with everyone making mistakes on the difficult track, Joona used his experience and took the win in the first two finals. Going into the last leg the fight for the overall runner-up spot was still super-tight with Jamiel, Pekko, Lauri and Mikko all in the mix. However Jamiel managed to lay down a near-perfect race to win the main in front of Pekko and Joona. Sunday was wheeler day and once again Joona, Pekko, Jamiel and Konsta were showing great speed. However Joona was the quickest with Pekko a close 2nd. Konsta started 3rd and Jamiel in 4th in front of Markku Honkanen in 5th and Lauri in 6th. In the finals Joona took the win in two finals, leaving behind Pekko and Konsta. Pekko won the third final after a tight battle with Konsta, securing the 2nd spot on the podium and in front of Konsta in 3rd. 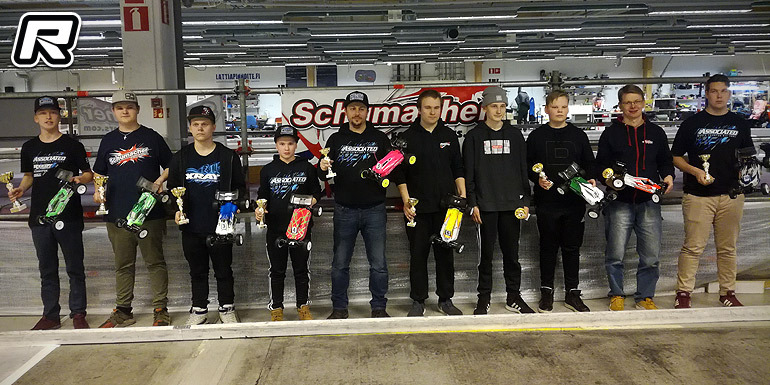 Joona Haatanen managed to secure the overall win of the popular winter series in both 2WD and 4WD before the fifth round being held at the Vaasa permanent indoor track hosted by the same crew that run the IFMAR 2011 worlds.